The 4-H Leadership Project members made Chex Mix while learning Parliamentary Procedures! We enjoyed this snack at the November General Meeting and you'll find the Chex Mix recipe below, including the modifications made by the Leadership Project. 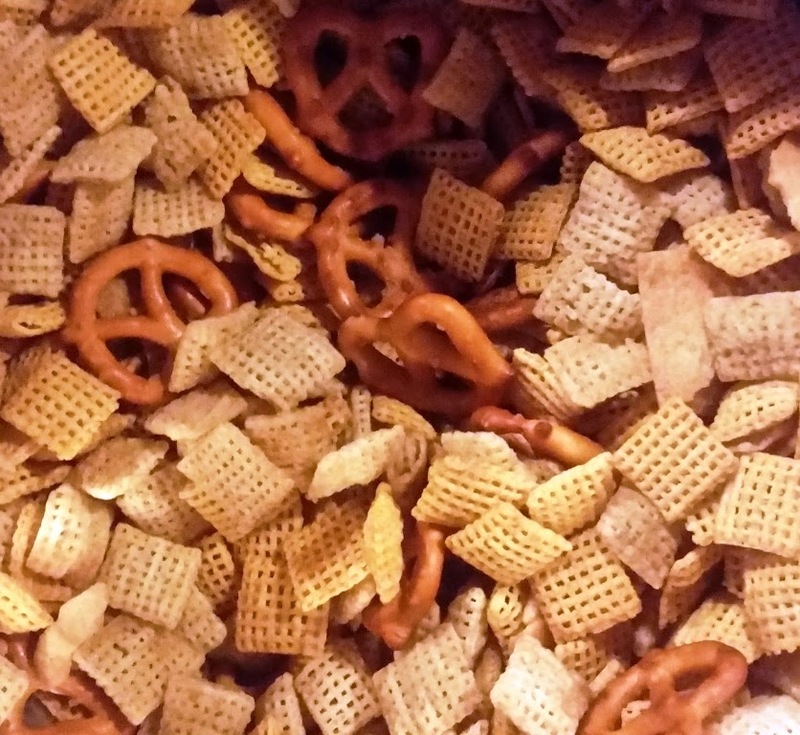 In a large microwavable bowl, mix cereals, nuts, pretzels and bagel chips; set aside. In small bowl, microwave butter uncovered until melted. Stir in seasonings. Pour over cereal mixture and stir until evenly coated. Microwave uncovered on high 5 to 6 minutes, thoroughly stirring every 2 minutes. Spread on paper towels to cool. Store in airtight container. Leadership modifications: 1) Omitted Wheat Chex and increased Corn and Rice Chex by 1 1/2 cups. 2) Omitted mixed nuts due to allergies. 3) Replaced bagel chips with pita chips.